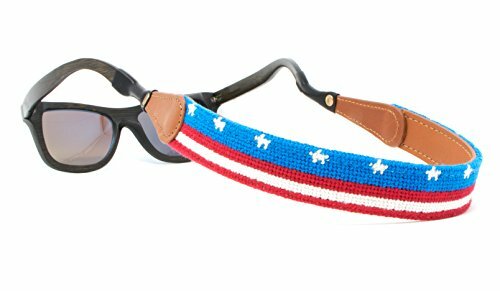 Never lose track of your sunglasses with Huck Venture's hand-stitched needlepoint sunglass straps. Our hand-stitched needlepoint sunglass straps are finished in full grain leather with top quality, richly colored cotton thread to ensure the detailed needlepoint patterns will continue looking great for years to come. If you have any questions about this product by Huck Venture, contact us by completing and submitting the form below. If you are looking for a specif part number, please include it with your message.